A thoughtful gift perfect for celebrating a friend or loved one's special day. 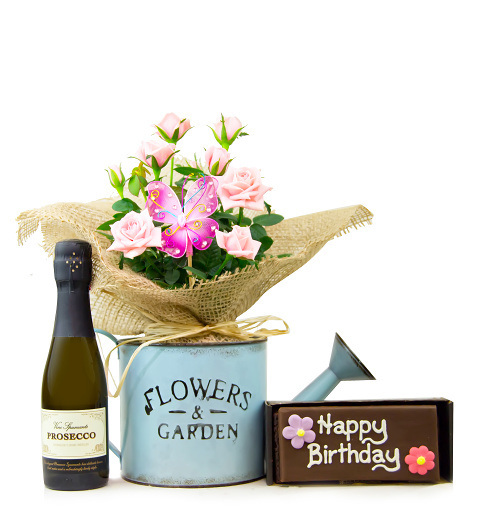 Prosecco is always great for celebrating and the rose plant comes wrapped in hessian and decorated with a gorgeous butterfly pink. We have even included a delicious birthday cake topped with irresistible chocolate icing. This gift has all you need to spoil somebody special on their big day!